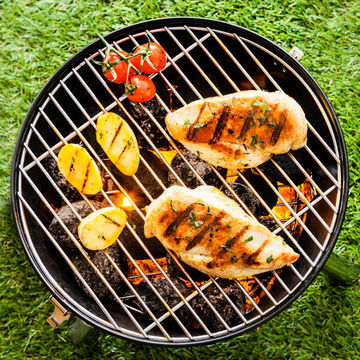 These recipes prove that summer barbecues don't need to mean sacrificing your healthy diet. By Recipes by Matthew Kadey, M.S., R.D. Warm weather means summertime soirées galore. 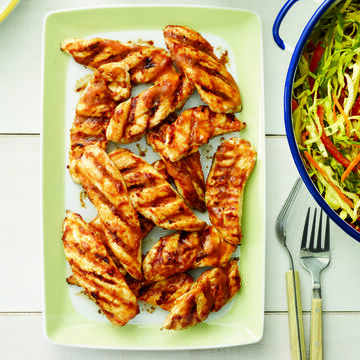 Whether you're heading to a friend's potluck or hosting a BBQ, these dishes nourish you and your growing bundle with nutrients while satisfying everyone's summer cravings. Recipes by Matthew Kadey, M.S., R.D. 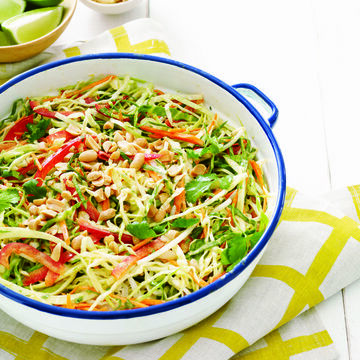 Rather than spooning out a mayo-heavy and calorie-laden packaged slaw, try this easy, spicy-sour Asian rendition. A cornucopia of crunchy vegetables provides fiber to squash unhealthy cravings and keep things moving. 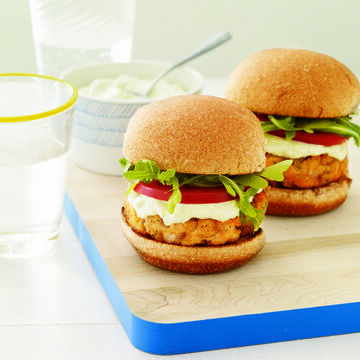 Burgers are a summertime mainstay, and there's nothing fishy about swapping out the traditional ground beef patties for ones made with omega-3- packed salmon. Studies show that this nutritional hero may decrease the risk of prenatal and postpartum depression. Plus, slathering on the punchy avocado sauce adds a dose of folate, a B vitamin that protects against birth defects. 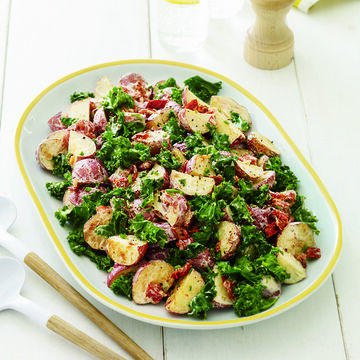 Kale brings vitamins A, C and K to the carb-bomb that is traditional potato salad. Beyond bolstering your immunity and digestive health, probiotics in yogurt can slash the risk for preeclampsia by about 20 percent, according to a study in the American Journal of Epidemiology. 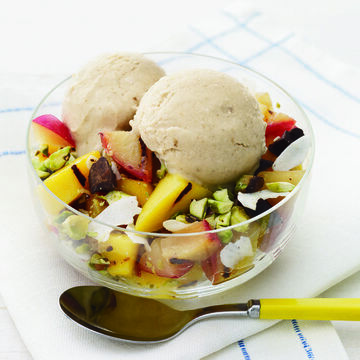 Grilling sun-kissed fruits supercharges their natural sweetness, making them the stars of this dessert. They also supply vitamin C, which aids in Baby's brain development. First trimester bonus: The potassium in bananas helps quell morning sickness.